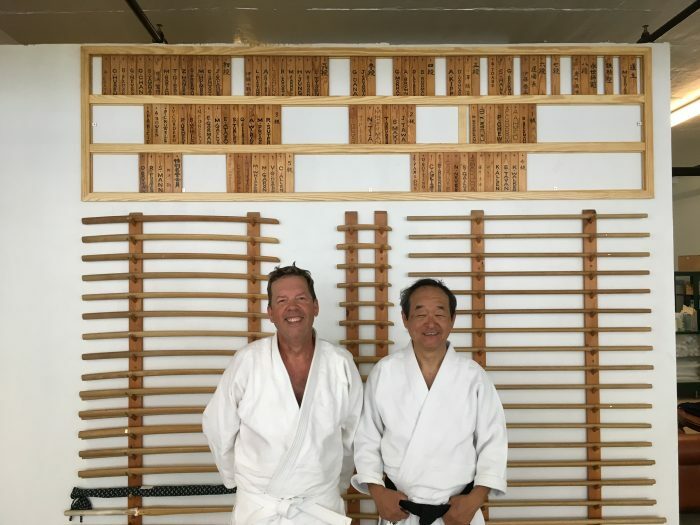 Aikido Tekkojuku’s nafudakake is a wooden board that displays nameplates of all members in rank order. This is a traditional component of Japanese martial arts dojos, and symbolizes the connection of the dojo to its members, past and present. Thanks to a growing membership, our previous nafudakake was completely full. We are therefore especially grateful to Allen B. for hand-crafting a new one which we installed last week. The new nafudakake is beautiful, easy to use, and — best of all — much bigger. Thank you Allen for your generosity, time and craftsmanship! Your work will serve the dojo for many years to come.